Since its inception on March 6, 1966 as the Crispus Attucks Day Parade, The African American Heritage Day Parade has galvanized thousands of participants, marchers, students and spectators to line Broad Street, Newark, New Jersey to celebrate and to make certain that the glorious heritage and contributions of Africans and African American people are not forgotten. 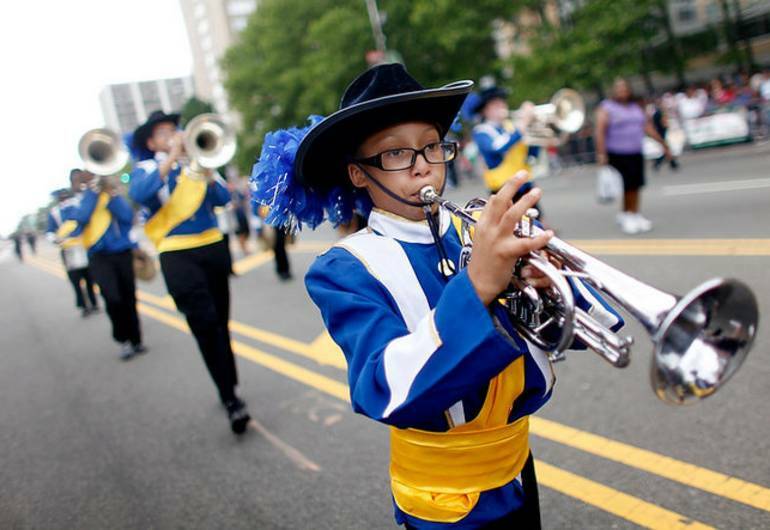 Get set for the Annual African American Heritage Festival & Parade. The Parade and lineup planned will lift your spirits and warm your hearts. Come out and bring the entire family to enjoy the music, food, pageantry and fun of the experience. The African American Heritage Statewide Parade and Festival occurs each year on Memorial Day Weekend, and is fully inclusive of all of our people. Hope to see you in the park!